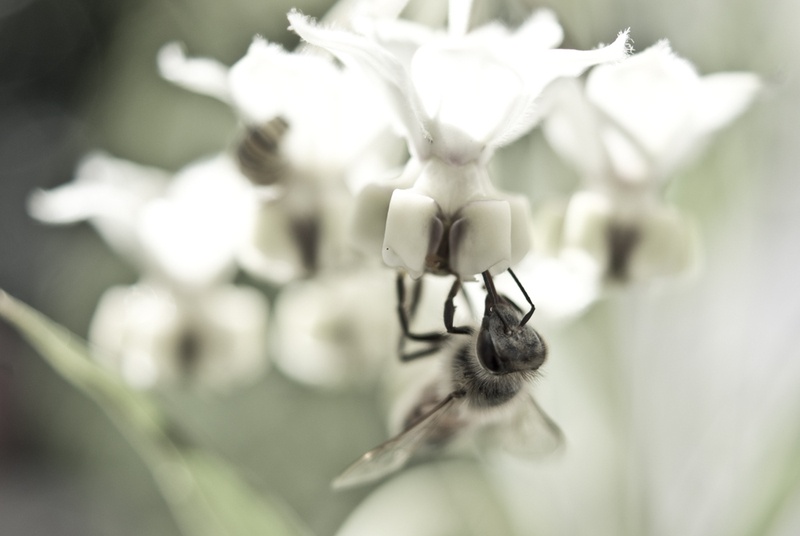 Swan Plant (milkweed) is bringing hungry bees to my garden at the moment, suggesting someone near by has an urban hive. 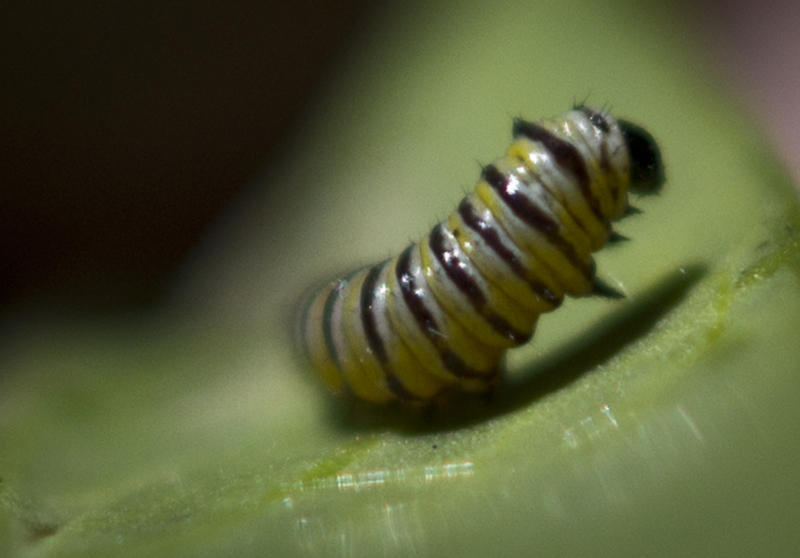 The reason for the Swan plants, monarch caterpillars, are growing nicely, seeming to more or less double in size every few days. I anticipate much childlike happy wonder when they eventually cocoon and turn into butterflies. During extensive research into the life cycle of these lovely creatures (ie, some careless reading on Wikipedia) I learnt that the original working title for The Very Hungry Caterpillar was “A Week with Willi Worm“. A rose by any other name . . . would probably not have succeeded quite so well. This entry was posted in macro, photography and tagged bee, butterflies, butterfly, caterpillar, honey bee, milkweed, monarch, swan plant. Bookmark the permalink.